Ready in: 7 Minutes, then allow to cool. 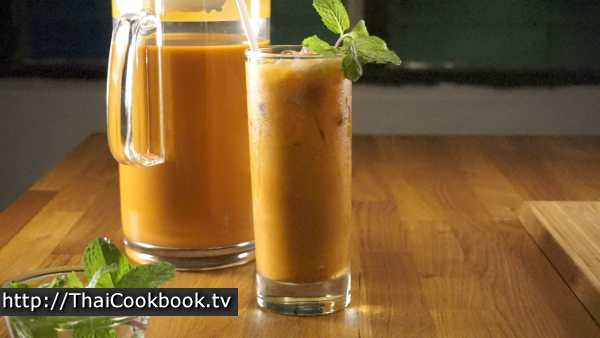 From its bright orange color to its surprising sweetness and flavor, nothing beats a Thai Iced Tea when you want to round out your traditional Thai meal. It's one of our most popular drinks. 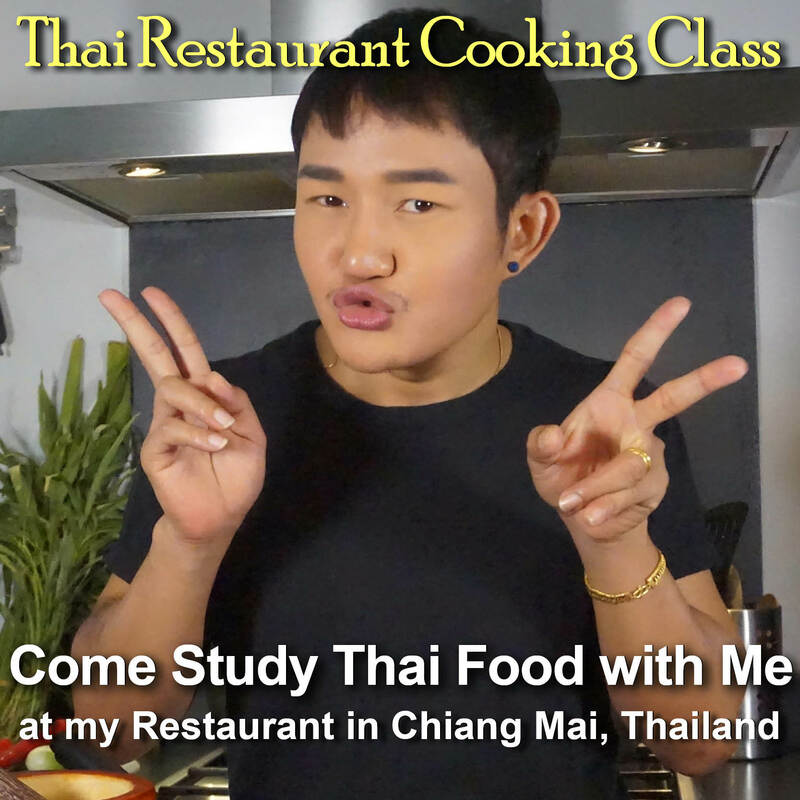 In Thailand it's usually made by the glass, but watch me as I show you how we make it by the pitcher the way we do in the restaurant. Now you can keep some on hand in the refrigerator and have a glass anytime. What's in our Thai Iced Tea. 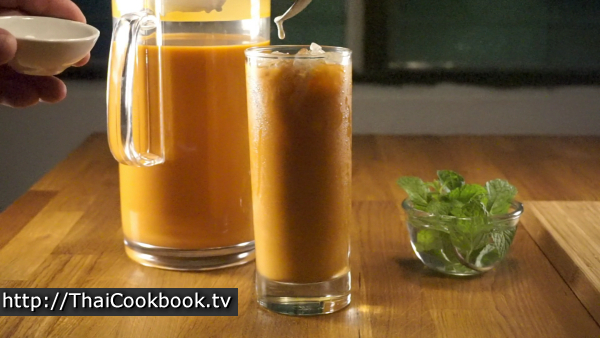 How we make our Thai Iced Tea. 1) Heat 2 liters of water until boiling, then add the Cha Tra Meu tea mix. Steep for 5 minutes, then pour the tea through a cloth filter. 2) Stir in the evaporated milk, sweetened condensed milk, and sugar. Allow the tea to cool completely. 3) Transfer to a pitcher, and refrigerate until time to serve. Serve over crushed ice, garnished with mint. 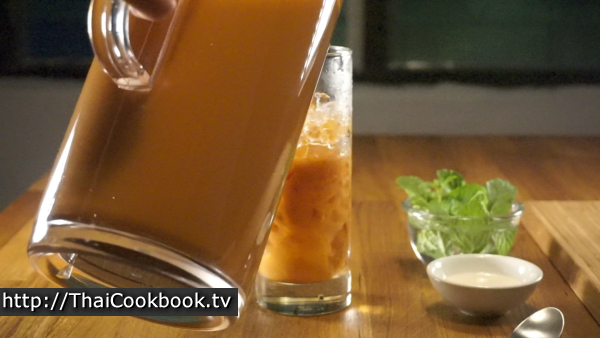 To make a pitcher of Thai iced tea I use 2 soup pots to make it easy. Heat the water until it is rapidly boiling, then turn off the heat. 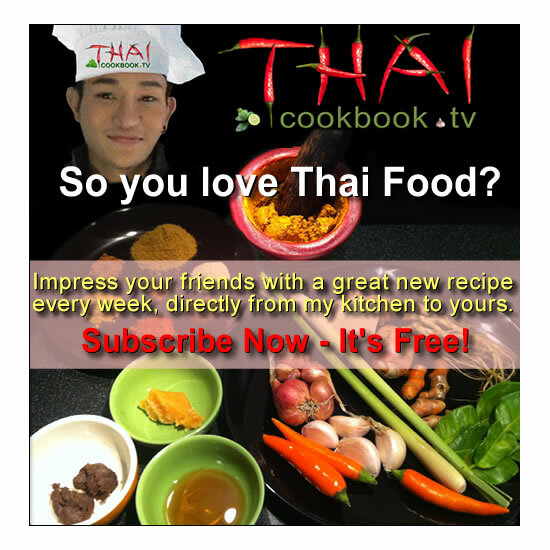 Add 1/2 cup of Cha Tra Meu tea mix and stir it in well. 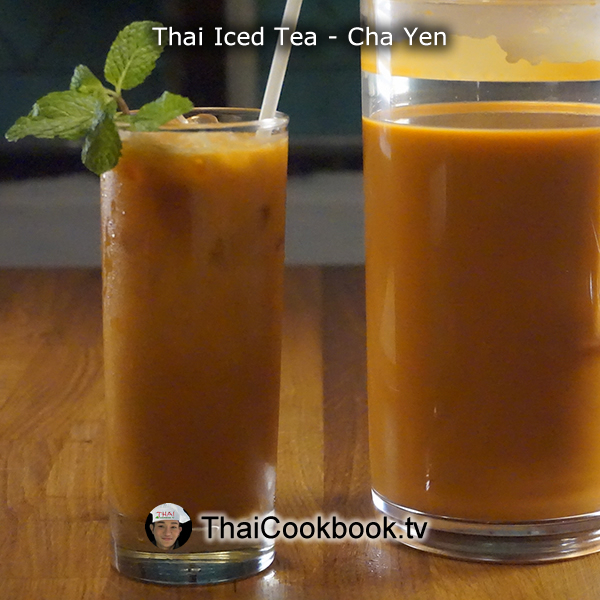 Note: If you do not have the original Thai Iced Tea formula, then you can use other types of black tea. Allow the tea to steep for about 5 minutes, stirring often. 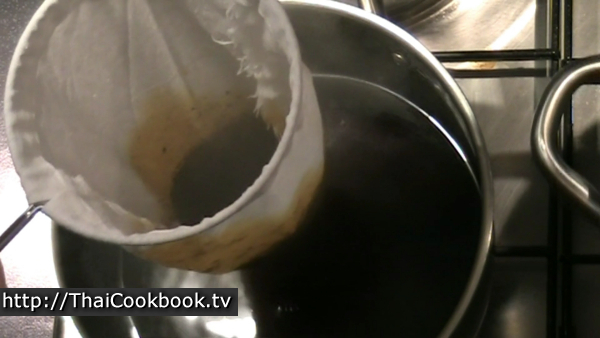 Pour the tea from one pot to the other, through a cloth filter bag. Add the sweetened condensed milk, evaporated milk, and sugar to the filtered tea. Note: If you are using ordinary black tea and not the Thai Tea blend, you can also add vanilla extract in small amounts until you obtain a pleasant flavor. A few drops of orange food coloring will create a similar color to the original. Stir it up well until the sugar completely dissolves, then allow it to sit and cool to room temperature. Transfer the tea to a pitcher for serving later, and put it in your refrigerator to get very cold. Serve in a tall glass filled with crushed ice. Drizzle a few teaspoons of evaporated milk in the top of the glass. Garnish with mint leaves, and drink it using a straw.